With MedImaVoice™ you can add comments to medical images. This comment is recorded using the speech interface. MedImaVoice is free for non-commercial use. 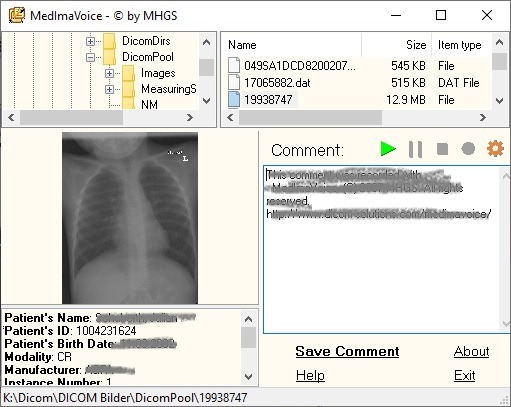 MedImaVoice runs on Windows 2000 and higher.